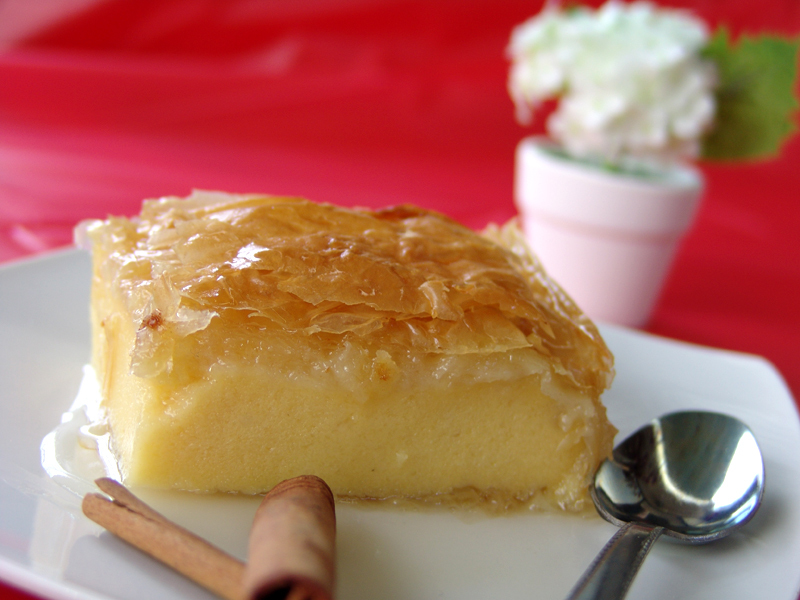 Galaktoboureko is a light and refreshing pie-like sweet with the delicious yellow cream sandwiched between layers of crispy phyllo dough. After it comes out of the oven, you pour syrup scented with lemon over it, and when it cools down you will have to restrain yourself from eating the contents of the pan!! !